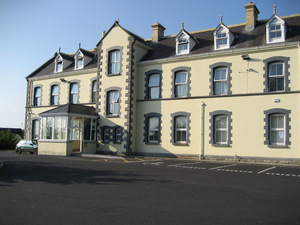 Irish Refugee Council CEO Sue Conlon has a piece, entitled Seven Years Like A Robot, in the current edition of Village magazinedetailing how asylum-seekers live in Direct Provision accommodation in Ireland. She explains that, as of December 17 last, there were 4,806 residents of Direct Provision, 38% (1,818) of which were children. 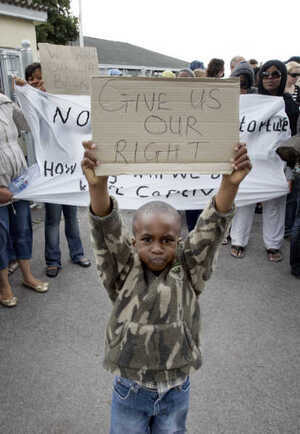 “The Direct Provision system was set up in 2000 in response to a crisis towards the end of the 1990s when the numbers seeking asylum in Ireland had increased rapidly. Today more than a third of residents in the centres have lived in them for more than three years. What is difficult to understand is why the authorities maintain a system when the evidence is clear that it comes at huge expense – both financial and human. “The centres are collectively known as ‘Direct Provision’ because the state provides directly for the immediate physical needs of asylum seekers. It is a system that has never been set out in legislation or defined in any publicly available document. 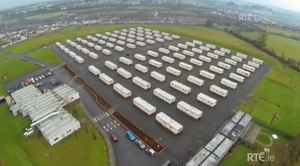 But it has been rolled out in the form of accommodation facilities whose original use was for short term stay – mobile homes, holiday chalets, hotels, students’ hostels – with just a small number of purpose-built accommodation centres. All of them have been owned or at least run by private companies. “The companies have never been required to have any particular training or oversight in order to accommodate, on a long term basis, vulnerable adults and children. Dispersal around the country is a central feature of the system. By and large, it is a system that is on a ‘no choice’ basis. You go where you are told, when you are told and often with little notice. 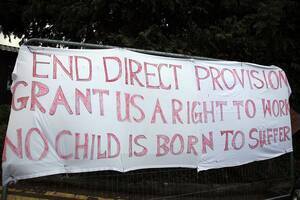 The IRC is co-ordinating a National Day of Action on April 23, as part of a campaign calling on the Government to end the Direct Provision system. “Issues Too Extensive To Catalogue Individually” ‘The Deserving And Undeserving Refugee’ ‘They Don’t Care’ Free At 6.30pm? 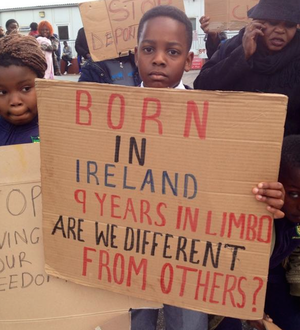 Posted in Misc and tagged Asylum Seekers, Direct Provision at 8:45 am on April 11, 2013 by Broadsheet.